Ruth Benedict (born Ruth Fulton) was an American anthropologist, cultural relativist, and folklorist. She was born in New York City, and attended Vassar College, graduating in 1909. She entered graduate studies at Columbia University in 1919, studying under Franz Boas, receiving her PhD and joining the faculty in 1923. Margaret Mead, with whom she may have shared a romantic relationship, and Marvin Opler were among her students and colleagues. Franz Boas, her teacher and mentor, has been called the father of American anthropology and his teachings and point of view are clearly evident in Benedict's work. Boas is author of many classic works including Race, Language, and Culture�perhaps the most potent anti-racist text to emerge from the academic world in his time. In it Boas attempts to prove that race, language, and culture are independent. 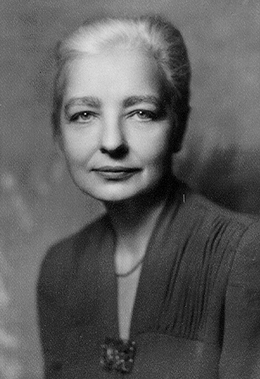 Ruth Benedict was affected by the passionate egalitarianism of Boas, her mentor, and continued it in her research and writing. Benedict held the post of President of the American Anthropological Association and was also a prominent member of the American Folklore Society. She can be viewed as a transitional figure in her field. She redirected both anthropology and folklore away from the limited confines of culture-trait diffusion studies and towards theories of performance as integral to the interpretation of culture. She questioned the relationships between personality, art, language and culture, insisting that no trait existed in isolation or self-sufficiency, a theory which she championed in her Patterns of Culture.